Movie adaptations of video games are hard. Some have sprawling universes and exotic characters with all too much story, and others are immensely popular franchises with no story at all. They're two entirely different mediums, and for the most part, the results historically haven't been very good. But that hasn't stopped Hollywood from trying, even if some gamers would prefer Hollywood leave their games alone. Here are some video game adaptations that never saw the light of day. 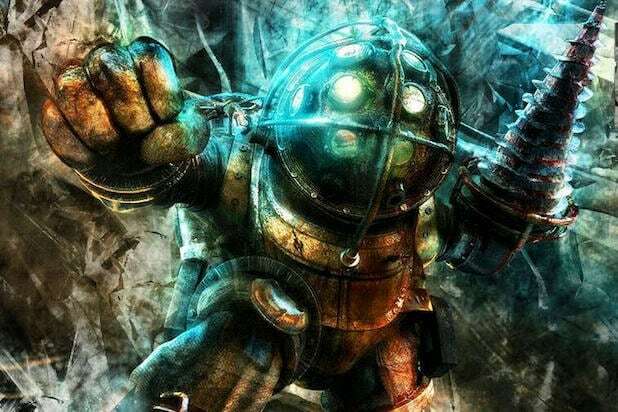 "Bioshock" "Bioshock" might be one of the most ambitious video games ever made: Set during the 1950s, a man stumbles across an underwater metropolis governed by Ayn Randian philosophies, only for things to turn bloody when residents become addicted to genetic mutating drugs. Back in 2008, Gore Verbinski was attached to direct at Universal with "The Aviator's" John Logan in talks to pen the script. Verbinski said in a Reddit AMA he wanted to make it an R-rated project, but the studio wasn't comfortable with the price tag for an R-rated film. Juan Carlos Fresnadillo came in to replace Verbinski, but the game's creator, Ken Levine, eventually pulled the plug. "Crazy Taxi" Here's the pitch: A twentysomething actor in the '90s (let's say Ansel Elgort) spends his summer vacation driving a taxicab as fast as he can with reckless disregard. Throw in a love story and some snappy comedy, and you've got a blockbuster. At least that's what Richard Donner thought back in 2001 after playing the popular arcade game, but it never panned out. 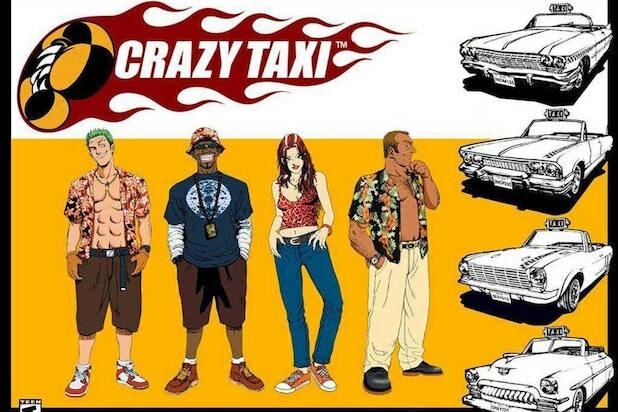 However, Sega optioned the film and TV rights to their library, including "Crazy Taxi," back in 2014. "Deus Ex" In 2002, Columbia Pictures announced plans to film "Deus Ex," a cyberpunk dystopian game set in 2052. Laura Ziskin would produce and Greg Pruss would write the screenplay, but the project never got beyond the script stage. CBS Films revived the project in 2012, with Robert Cargill and Scott Derrickson writing the screenplay, but the story was based on "Human Revolution," a prequel game set in 2027, rather than the original game's story. 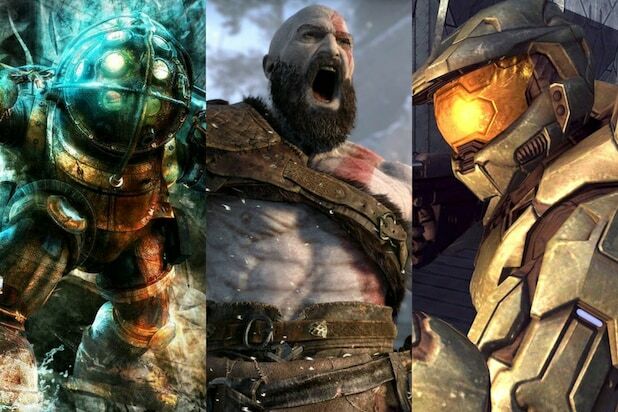 "God of War" The hyper-violent "God of War" video games are set in ancient Greece and involve a Spartan warrior named Kratos who pledges his servitude to the God of War, only to try and renounce his pledge when in a blind rage, Kratos kills his own family. David Self wrote an original draft back in 2005 shortly after the game's release, and Brett Ratner expressed interest in 2008. "Pacific Rim" writers Patrick Melton and Marcus Dunstan were the latest to rewrite the script as of 2012, but it hasn't been heard of since. Jason Momoa might be interested though. "Halo" While there's still a Steven Spielberg-produced, live-action TV series reportedly in the works based on Master Chief and the iconic first-person-shooter franchise for XBox, the version fans were originally excited for would've been helmed by "District 9" director Neill Blomkamp and produced by Peter Jackson. Alex Garland wrote the original draft for the script in 2004, but the project was put on hold by Jackson in 2006 after Universal and Fox pulled out. Blomkamp did get his shot at directing a "Halo" short film however. "Metroid" Ronda Rousey said she would love to play Samus Aran in a "Metroid" movie adaptation. She called Samus a "badass" and said part of the franchise's appeal was that for years, gamers had no idea that under their hero's space-age armor was a beautiful woman. John Woo was briefly attached to direct as far back as 2004, but it's had no movement since then. "RollerCoaster Tycoon" Before there was "FarmVille" and a swarm of games where you did nothing but farm resources and develop a city, there was "RollerCoaster Tycoon." From an eagle-eye vantage point, you built -- or neglected to finish building -- an entire theme park. There's no story exactly, but Harald Zwart, the director of "The Karate Kid" remake, pitched an idea in 2010 in which all the rides in the theme park come to life: "'Night at the Museum' meets Disney World." "The Sims" What would a movie about the life simulation game "The Sims" look like? Maybe almost exactly like "The Truman Show," but you know, a video game. Fox acquired the rights to the game franchise in 2007 and set Brian Lynch to script a planned live-action film, but the project has stalled since.